Is your child a wriggler? If so, Cosatto have the solution. Over 70% of children can wriggle out of their car seats, not only is this extremely dangerous for the child but a huge distraction for the driver. Working with the makers of the original, award-winning “5 Point Plus”, Cosatto have created the next generation of in-car security. New for SS16 all Cosatto Group 1 seats, including Hug, incorporate the new Cosatto 5 Point Plus Anti-Escape system. In tests, 9 out of 10 children could not wriggle out of their brand new Cosatto Anti-Escape System meaning a safer child and a safer driver. 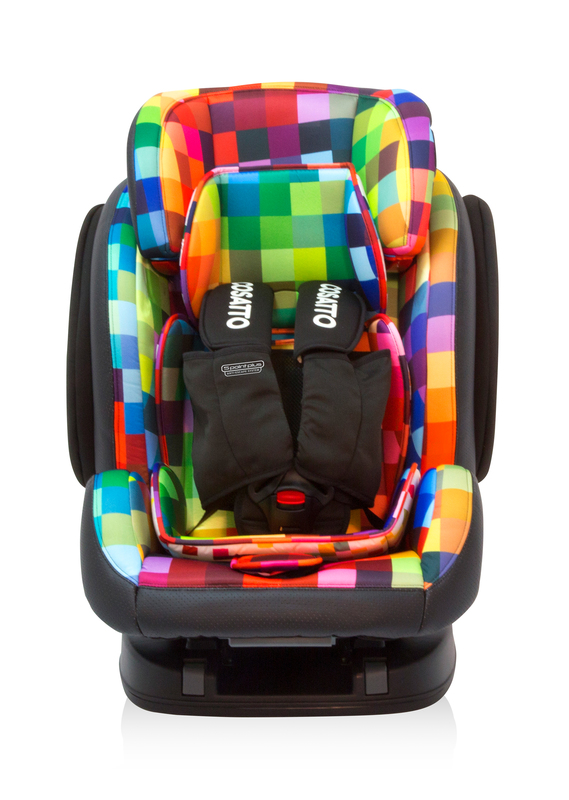 The Hug car seat, is a designed for Group 123, suitable for 9kg-36kg (approx 9 months to 12 years). It has five reclining positions and is available with the inbuilt Isofix base. With quick release buckle and ‘Go Safe’ side impact protection, it will put a parents mind at rest while keeping their child comfortable with height-adjustable headrest, plush chest and stomach pads. All parents love convenience and the Hug features padded inserts that can be removed easily and washed. The Hug is perfect as it grows with your child, giving you a decade worth of hugs. ‘Does this innovative car seat sound like something you and your little one need? We are giving you the chance to WIN your own Hug. To enter just visit us at www.facebook.com/lovedbyparents like our post and write the word ‘Cosatto 5 Point Plus’ in the comment box on the LBP page. Competition closes on the 22nd April 2016.